Best Sheepskin Seat Covers Reviews: Top-Rated 8 in April 2019! 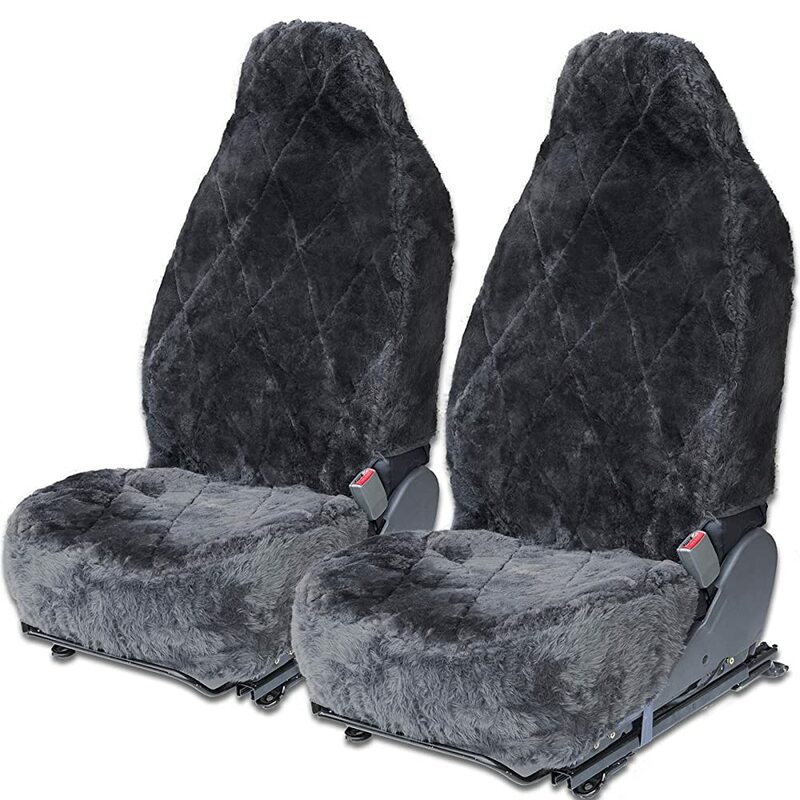 Best Sheepskin Seat Covers – Buyer’s Guide! Sheepskin covers for your vehicle are a cool addon, especially for the colder climates. The warmth generated by these natural wool covers, together with their softness provides for an extremely comfortable ride. However, when purchasing a sheepskin seat cover, you must factor in the maintenance of these covers, they are prone to hiding dust, dirt and other contaminants, and also susceptible to water and other liquids. As such, sourcing for the best sheepskin seat covers can be a daunting task. 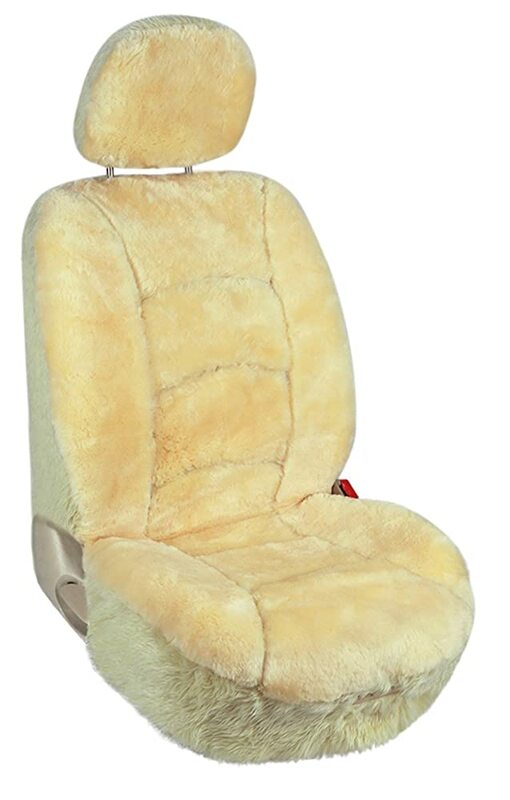 I have researched, tested and come up with this list of genuine sheepskin seat covers, all of which are quality fur car accessories, and included lambskin seat covers as well. So, without wasting more words, let’s take a look at the top eight wool seat covers on the market today. This 100% Australian Merino sheepskin seat cover comes with an acrylic skirt and back providing better fitment for your seat. Since these are natural sheepskins, you should consider that coloring will vary slightly. This model comes with a small pocket set in the front, used for a phone, and also have arear pocket set into the back of the front seat, that provides extra storage for the passengers. Installation is easy, just remove the headrests and slip the cover over, and comes with a universal fit for most applications. The Aegis sheepskin seat covers are made of 1” thick Australian sheep pelts and are designed to slip over most vehicles. This universal fitment is a perfect solution to cover seats that heat up red hot in the summer or freeze you in the winter. Once covered, these sheepskin pelts provide immediate comfort, warmth in the winter and coolness in the summer. This XL version of the Eurow Sheepskin Seat Cover is designed for larger seat fitments and is perfect for SUV’s and trucks. These are grey covers, and the front is made of 100% Australian Merino sheepskin, and the sides and back are made of acrylic. The Aegis comes with a specially engineered airbag release stitching, which is perfect for side impact seats. The universal fitment means that they will fit most vehicles, however, consider that a 60/40 bench, 50/50 bench, seat belt restraints built into the seat, and armrests attached directly to the seat will not allow you to use these covers. These covers are made of natural sheep pelts, remember to clean them regularly, and recognize that each seat cover might have a slightly different shade or feel since each pelt is unique. 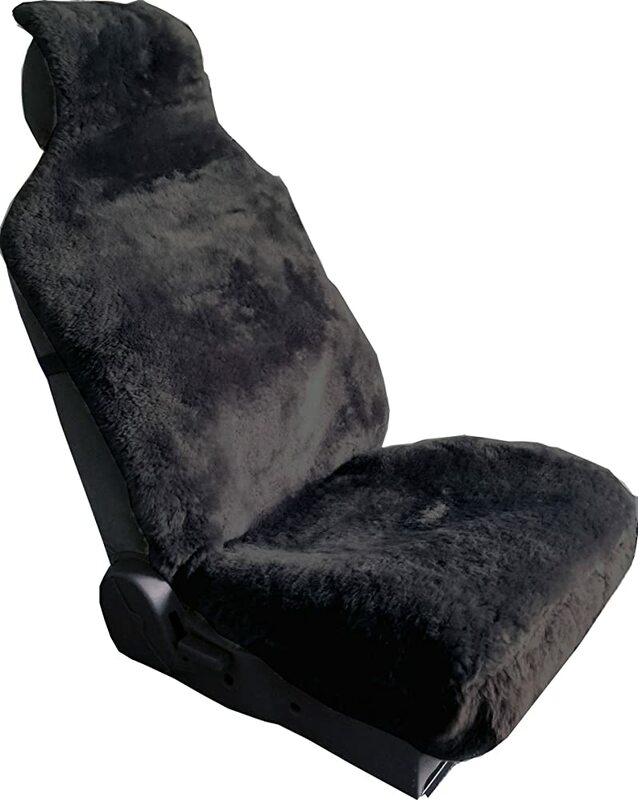 This standard version of the Eurow Sheepskin Seat Cover is a universal design that will cover side impact airbag and also seats with attached armrests. These are grey covers, and the front is made of 100% Australian Merino sheepskin, and the sides and back are made of acrylic. These covers are made of 1” thick natural sheep pelts, remember to clean them regularly, and recognize that each seat cover might have a slightly different shade or feel since each pelt is unique. Each seat cover is designed to provide comfort, and they are a perfect solution for both protecting your natural seat upholstery, as well as protecting passengers when entering a car in frozen winter or booking summer. 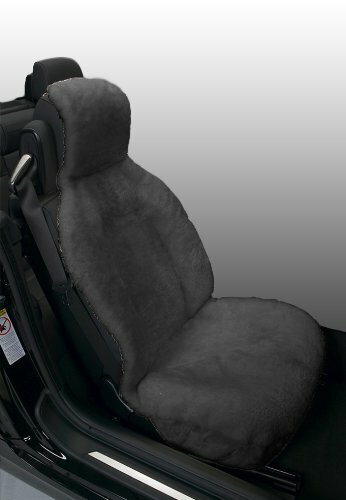 The seat cover dimensions are 52” long by 22” wide narrowing to 10” at the headrest. 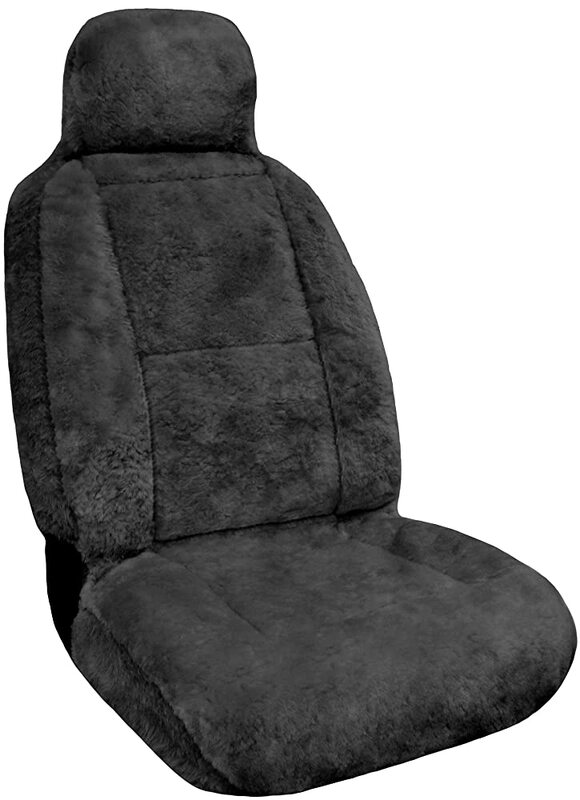 The Auto Expressions sheepskin seat covers are made of two materials, The front center sheepskin pelt, and an acrylic side and back. These covers are treated to protects against the accumulation of spills, stains, fading, pet hair and footprints, crumbs, and dirt. They are also a perfect solution to cover up worn seats or to cover up new upholstery protecting it from the wear and tear of everyday use. The design integrates a universal bucket high back seat cover that fits over most seats with built-in or adjustable headrests. 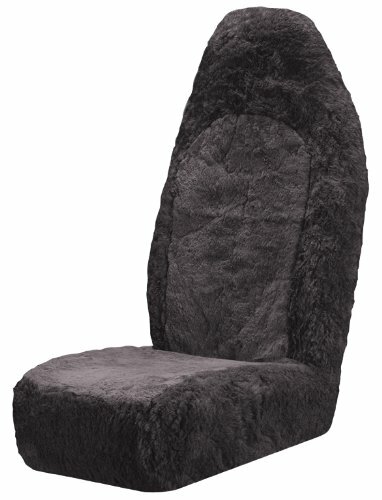 The Oxgord seat covers are made of simulation sheepskin; these are all synthetic fiber seat covers made of polyester. 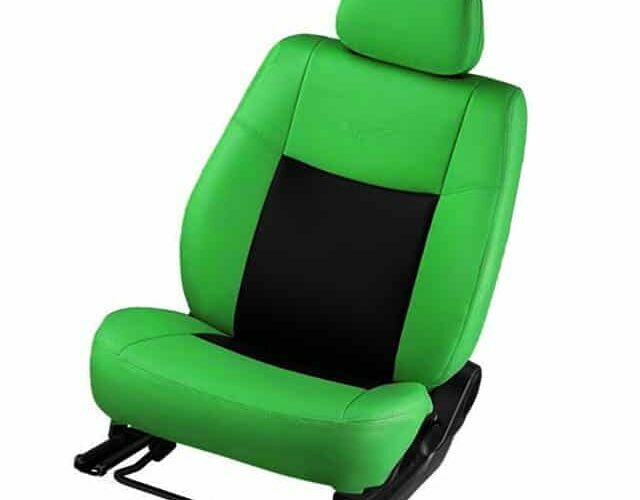 As such, these are the best clean proof seat covers that provide a perfect cover for your car’s upholstery, whether they are new or old and faded. The polyester fibers are cool in the summer and warm in the winter, and this seat cover can be cleaned in a flash, just remove them and wash them. They also don’t leave a smell that sometimes accompanies some natural sheep pelts when getting wet. This is another XL version of the Eurow Sheepskin Seat Cover and is identical to the one I reviewed above, the only difference being the color. This model is designed for larger seat fitments and is perfect for SUV’s and trucks. These are grey covers, and the front is made of 100% Australian Merino sheepskin, and the sides and back are made of acrylic. These are motorhome seat covers, and as such are bespoke for the specifics of a front seat Flexsteel motorhome seats as well as some conversion vans. These are made of 100% sheepskin pelts that are stitched with synthetic sidings, back and skirting. These seat covers are easy to install and also easy to take off and clean. Since these are designed for long road trips, they are fabricated with coolness, smoothness, and comfort in mind, and will not “itch” bare skin like some other models. When buying sheepskin seat covers, you have to be prepared to perform some serious market research. However, I have already done this for you, and if you read up on these tips, I will save you a lot of time and money, and also secure you with the best buy you can find. Do not buy cheap, never buy cheap. Sheepskin is not a synthetic product made in China; it is a natural pelt grown in various countries, the most popular being Australia. A good sheepskin product will be treated and prepared before being stitched up. As such, untreated sheepskin covers will attract ticks, can be allergenic, and will also smell. 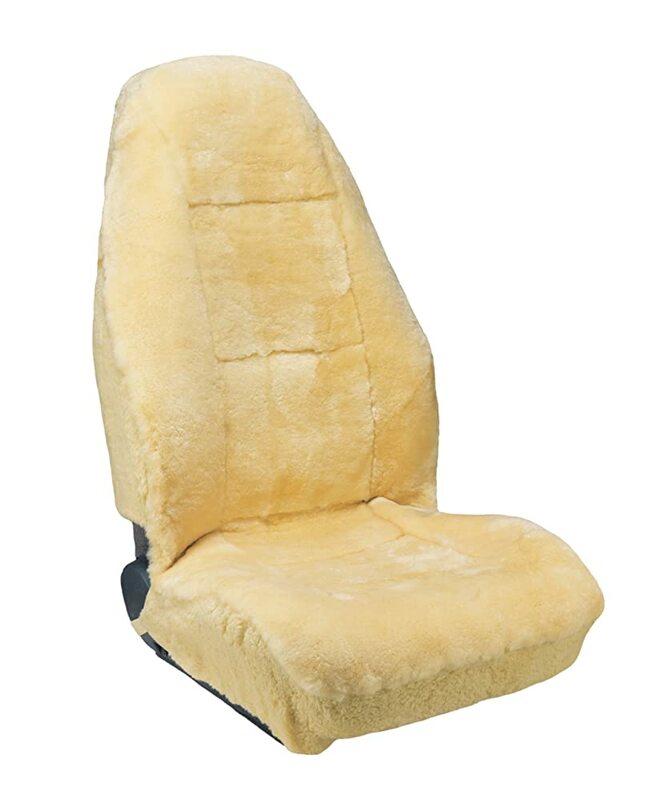 Good quality sheepskin seat covers are made of one piece and stitched to a synthetic back. A bad sheepskin will be cut in various shapes, stitched together in some weird configuration and be rough in places. Also, cheap covers stitching will fray or even rip the pelt, and you will end up having no cover in a very short time. 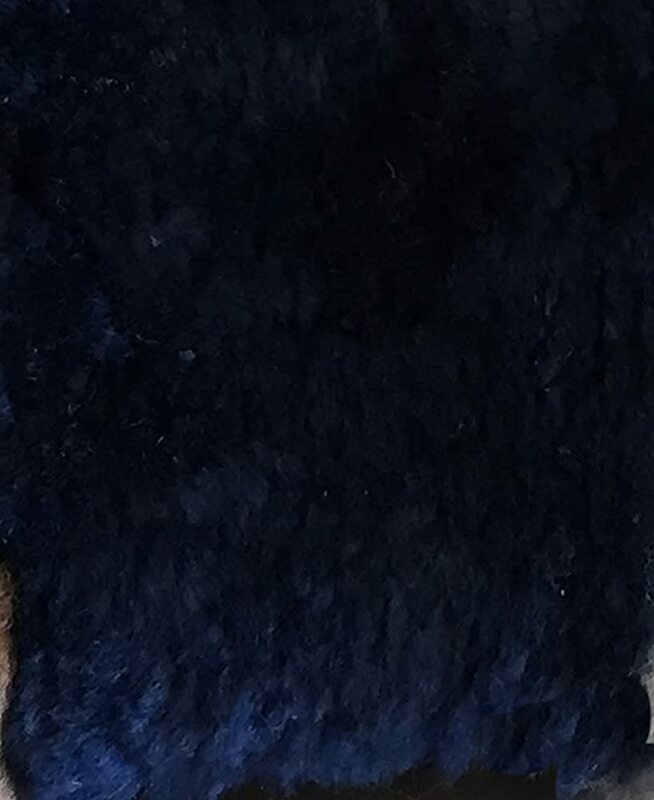 One final instance of cheap is color fading, or even dye transfer, where colored sheepskins using cheap dyes will color your clothes and cars upholstery over time. So, remember, cheap sheepskin seat covers is like buying used toilet paper. The more recent vehicle models come with side airbags integrated into the front seats. When you cover the front seat, you are essentially blocking the airbag from performing. Take into account that airbags are deployed by small explosive devices, and you are potentially exposing yourself to even more harm and risk when covering your car seat with a non-modernized seat cover. Apart from the safety concerns, there is an insurance issue too, if you cover your set with a sheepskin cover that does not have airbag stitching in the side, you are voiding your car insurance coverage. Be warned. You need to look out for Deploy Safe seat covers; these are the only insurance approved front seat covers allowed in vehicles with side airbags. The more advanced and reliable the seat cover the more features it will provide. This means that the better covers will have back pockets and all kinds of accessorized sections, including smartphone pockets in the front. Make sure that when you buy a sheepskin seat cover that the manufacturer offers you an accessorized or simple version, this shows you that the simple version is as good as the accessorized one, and is cheaper to by since it has fewer pocket features. Obviously, you will want a headrest cover. You might not want it out of sheepskin, or you might want it, just make sure that your kit comes with a headrest cover, this is extra proof that the manufacturer is thinking of every aspect. As such, the package you buy will contain two pieces, the seat base, and the headrest. Consider that a sheepskin should be around 1” thick, this means that the range you buy should measure between 18mm to 27mm. Only the best sheepskin covers will include the depth of the pile. The worst will state that the thickness of the cover provides “total comfort” and other such claims, without stating the actual width. Steer clear of these products, most of the time they are false. Sheepskin is not synthetic, you need to clean it properly and with care, here are the six steps to cleaning your cars sheepskin seat covers. Take a damp sponge or cloth and wipe down the pile. Don’t use hot or cold water, only tepid water and pay special attention to stained areas. Perform this action several times; you might want to vacuum dust too. Its time to apply shampoo, yes, shampoo, wool is hair, and as such, you want to retain its integrity. Use a standard wool shampoo. You do this by wetting the sponge with a shampoo water solution and then using the sponge to apply the shampoo over the cover. Always start at the top and work your way down. After applying the shampoo, let it rest for a few minutes, 3 is fine. Now rinse off the shampoo using a clean sponge with tepid water. You will need to perform this several times until there is no trace of soapy liquid left in the fabric. After your seat cover has been rinsed, you need to brush the fibers. Use a bristle brush and start from the top. Treat this like any other scalp and make sure you loosen all tangles hairs. Be gentle, because you can pull hair out, and this will eventually lead to a bald patch. Hang your seat cover up, preferably in the sun, for a few hours or until completely dry. Only check the wool section not the synthetic, since the synthetic dries faster than the pelt.